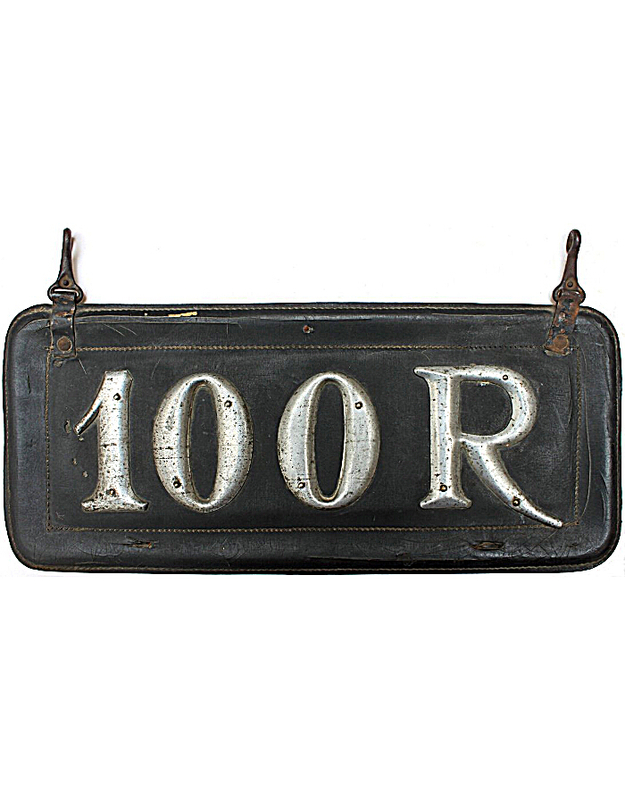 The state of New Mexico began registering automobiles on a statewide basis in 1912. Prior to that year, it is known that the cities of Albuquerque (1910), Las Vegas (1910), Raton (1911) and Santa Fe (1910) required local registration of motor vehicles. All four cities required license plates to be displayed. 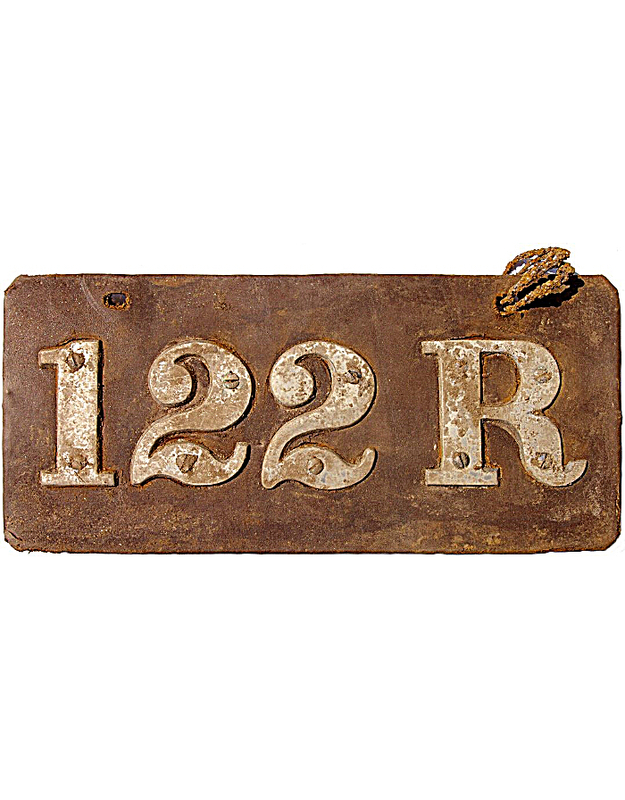 Albuquerque, Las Vegas and Raton apparently provided official license plates to auto owners, while Santa Fe most likely required owners to provide their own tags. Of the four cities, plates are known in collections only from Raton, where three surviving examples are verified. 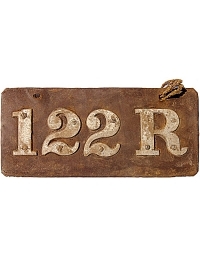 The Raton license plate is a typical leather pad with pewter figures 3-inches in height. It bears a suffix letter “R” proceeded by a serial number. (#100R, presumably the first one manufactured, is in a local museum in that city, having been donated by its original owner in the 1930’s).